Improving bio-mechanical function, triggered Self confidence allowing the horse to relax commitment. As the body renewal continues, the horse trusts situations because it can clearly process concepts. Muscle develops without a work. 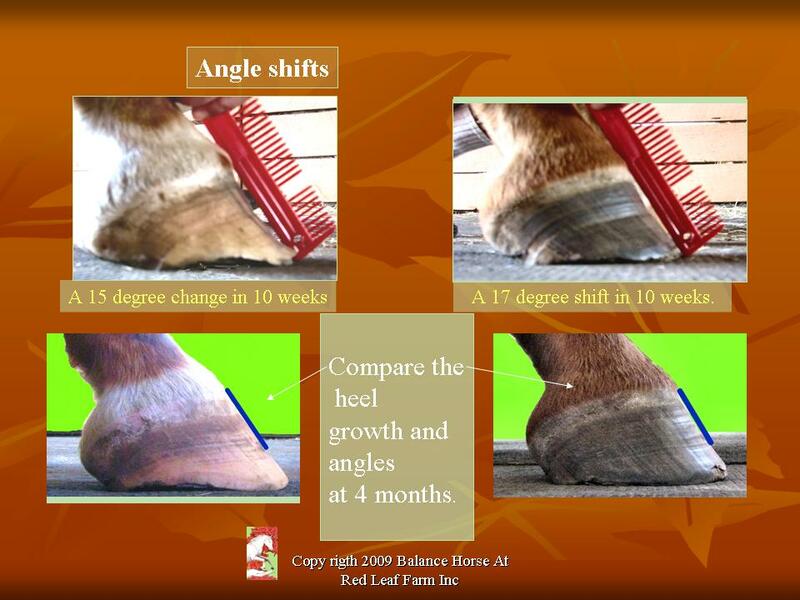 Hooves grow closer in shape and size. 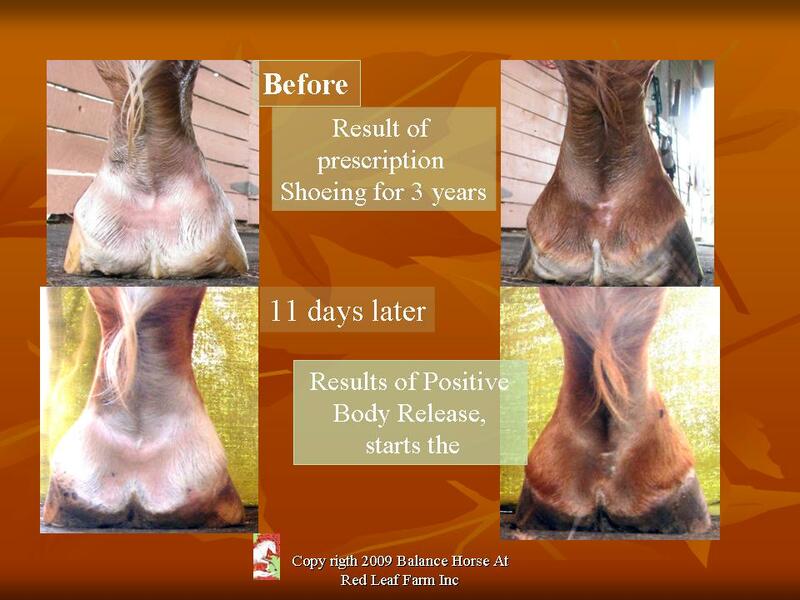 Old injuries improve and new injuries heal better without special therapies, shoeing or drugs. An intimate trust, understanding, and respect develop as horses offer their bodies without restraint or force. We work in the kill zones. The respect they offer is testimony to the relief they experience. Generational improvement was a marked by reduction in leg rotations and conformation weaknesses. The general quality of the offspring was improved, producing strong confident individuals. The deletion of structural imprinting indicates that conformation, and the quality of hooves are not dependent on genetic markers. This observation will play an important role in breeding selection.